For many organizations, cloud storage and processing seems to be increasing, so it might surprise you that enterprise data centers and colocation data center providers still hold the majority of workloads. According to Uptime Institute, 65% of workloads are in enterprise-owned/operated data centers, a percentage maintained since 2014. Thus, even if cloud storage and processing solutions continue to be prevalent, it’s safe to assume that most organizations maintain at least some of their mission-critical applications in house. Data security and privacy have long been primary concerns among organizations looking to move to the cloud. Unauthorized access to customer and business data is one of the biggest risks of keeping your applications in the cloud. Additionally, you end up leaving any patches, maintenance, and other security updates to a third party. With a physical enterprise data center, on the other hand, you’re able to secure your data and hardware yourself. You can manage who has access to different cabinets or containment areas of your data center using door lock contact sensors attached to intelligent PDUs and RFID access cards. Data Center Infrastructure Management (DCIM) or other data center software can help you audit who goes in and out of your data center and what changes are made for an additional layer of security. In most cases, the cloud limits your ability to fully control and customize your applications and overall environment. Cloud providers may not allow certain configurations or prevent specific changes made through the cloud management system. It also may be costly and time-consuming to switch to another vendor due to differences across cloud providers. With an owner-operated enterprise data center, you can allocate resources and configure your hardware and applications in the ways that work best for your organization. You can determine which physical assets house your applications and make changes at any time. You also aren’t necessarily locked in to any single vendor and instead can use a range of iPDUs, UPSs, and other hardware in your data center. Although most cloud providers have SLAs specific to uptime and availability, downtime is one of the biggest concerns with migrating workloads to the cloud. Total time lost due to cloud outages is a key metric for cloud providers. Additionally, there is the potential for lost data due to unexpected service interruptions. Since you can’t see for yourself what caused an outage, you need to rely on your cloud provider to quickly resolve the issue and restore service. Although physical data centers are not immune to downtime caused by disasters, in your own data center, you have more control over maintaining uptime and availability. DCIM software and other data center power monitoring tools can help you stay below allowable power thresholds and avoid unplanned downtime. Data center virtualization and consolidation can help you maximize the capacity of your existing physical resources. You can also forecast space and power usage based on actual values for more accurate data center capacity planning. In your enterprise data center, it’s easier to see which applications are running on which physical servers to troubleshoot performance issues and complete root cause analyses faster. With cloud deployments, you don’t always have the visibility you need to ensure that your applications are performing to meet SLAs and to ensure that you are making the most of your available resources. Your cloud provider may only provide basic metrics and not allow you to customize reports to get to the Key Performance Indicators (KPIs) that matter to your organization. As a result, it can be difficult to make data-driven decisions about your resources. When using intelligent PDUs with environmental sensors and other smart devices in your data center, it’s easy to collect the data needed to fuel your decision-making process. Comprehensive data center management software can help you analyze this data with data center business intelligence dashboards and reports that you can customize to your top data center management KPIs. For example, you can track data center energy consumption in support of green initiatives, actual and budgeted values for data center power management, and item age in months to keep maintenance top of mind. Cloud certifications, while growing in prominence, are still relatively new in comparison with professional data center certifications and other training courses that are well established in the industry. As a result, it tends to be much easier for organizations to find, retain, and train talent on traditional topics, like networking, infrastructure, and design versus cloud deployments. 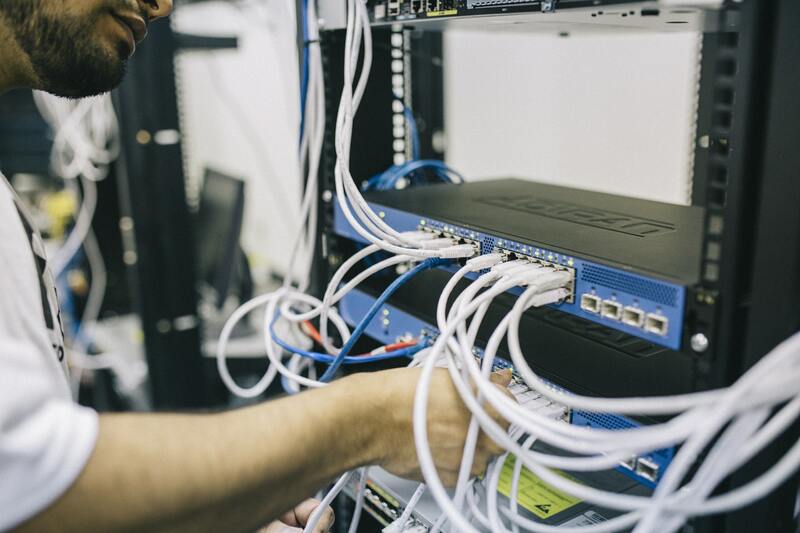 Having the expertise that you need in house not only means that troubleshooting occurs faster, leading to a reduction in unplanned downtime, but also that support staff is more knowledgeable about your specific deployments. A cloud-based helpdesk responding to thousands of customers is unlikely to provide the same level of service and knowledge. In today's data centers, the cloud is certainly becoming more prevalent, but that doesn't mean that traditional enterprise data centers and colocation facilities are going away. More organizations are using a combination of owner-operated data centers, colocation data centers, and private/public clouds for data storage and processing, creating a new breed of hybrid data center environments. Data center managers need to adapt to these hybrid environments, or risk losing their relevance.